International Fight Week is always the UFC's summer showpiece. A week where fight fans converge from all points on the globe, all leading to one seismic affair. Previously, we've had Conor McGregor's interim title fight, Chris Weidman's stunning stoppage of Anderson Silva and most recently Brock Lesnar the focal point a loaded UFC 200 card. But just like last year, the card was subject to some big blows - and even one on fight week itself, where once again the main event was scrapped in the last minute. Opportunity knocked, though, for two killer middleweights. With champion Michael Bisping on the shelf, New Zealand's young gun Robert Whittaker locked horns with the ferocious Cuban Yoel Romero. They fought out magnificently for five compelling rounds in which "The Reaper" took to set up a unification showdown later down the line. A fight which initially was thrown together as a response to the collapse of the bantamweight throwdown between Cody Garbrandt and TJ Dillashaw became a righteous centre of all the chaos - a marquee matchup that deserved the recognition and top billing. 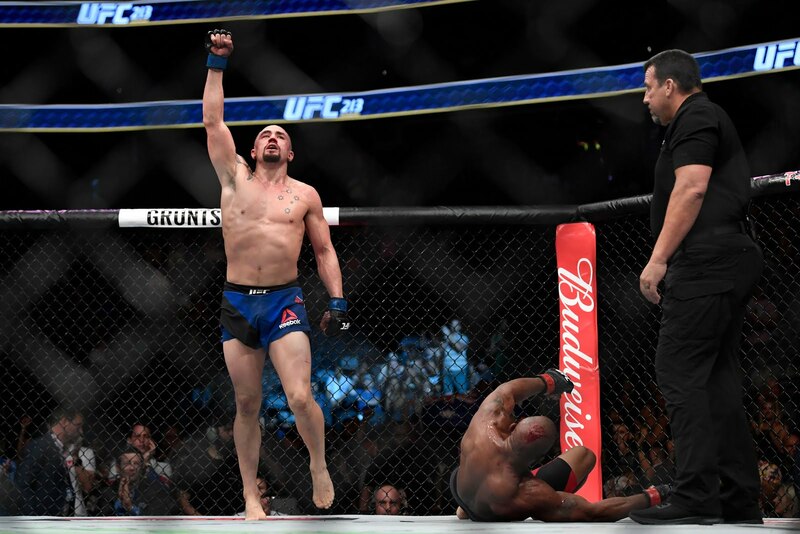 The pressure was on, and so was the challenge, but Robert Whittaker took to it like a duck to water. Overcoming some vicious oblique kicks that left his knee jeopardised very early in the fight, his takedown defence left his Olympian opponent running low in the tank, and rallied through to take the final three rounds and win the contest. At 40 years old we won't know if the eventual loser Yoel Romero will get another crack at the gold (even if the fire burns with himself and Michael Bisping), but he remained a savage opponent just as the previous one, in Ronaldo "Jacare" Souza - whom Whittaker stunned with an electric stoppage earlier in the year to add further fuel to announcing himself to the world. Even if Gegard Mousasi has jumped ship to Bellator, which is a massive coup for the UFC's rival promotion, it's a murderer's row at 185 lbs. 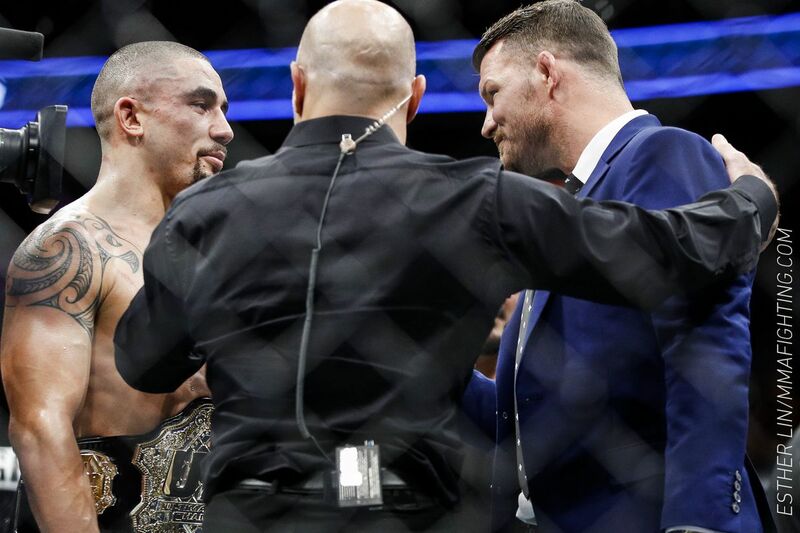 This was widely recognized well before Michael Bisping's earth-shuddering finish over Luke Rockhold over a year ago, and that was a time in which Whittaker was simply making up the numbers. Few would have thought that at this stage now, he would be one win away from taking the entire crown. He's risen to the occasion, and may continue to do so when he eventually unifies the championships against "The Count" Michael Bisping. For the Kiwi, it's a long time coming, with the Bisping fight initially lined up for UFC 193 in Australia during the late months of 2015. Whittaker has risen from darkness and perhaps obscurity to put himself well in line to take charge of one of the most danger-filled divisions in the UFC banner. It's a continuation of the gradual and subtle trend of youth excelling in the sport - and a story of revival as was the case with his two consecutive losses that followed his TUF Smashes win. He came back with a vengeance, stepped up in weight and took it all by storm. Arguably he nullified the most dangerous grapplers so the rest is his for the taking. 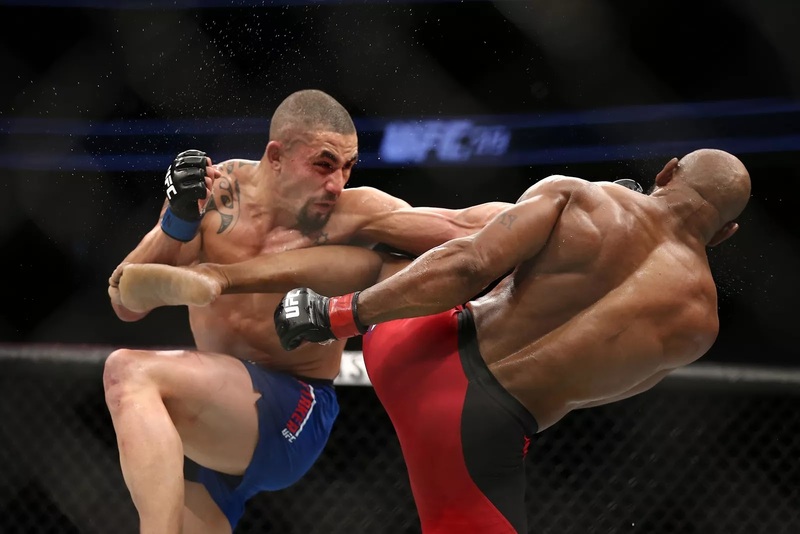 Romero's wrestling ability is well documented and respected, but he made that count for little in UFC 213's main event, stuffing 14 of the 18 attempts from the Cuban. Jacare Souza meanwhile was an absolute monster on the mat, pulling out submissions, choking guys and breaking limbs on all who came; but he couldn't get Whittaker down and was soon cracked with a flurry of right hands and head kicks leading to his eventual downfall. Glancing at the other contenders most notably Rockhold and Weidman make for some electric matchups - again the impetus on him to use his continually evolving striking skills. The fight against Michael Bisping will be a classic Commonwealth showdown, and maybe another demonstration of youth vs. age. There's a 12 year age gap, but perhaps more interestingly will be the striking matchup. Bisping's volume may very well be matched by the younger lion and it could make for a very fun fight, and we will also see Whittaker's buttons pushed in a continuation of Bisping's post-fight reaction, with the mandatory extreme verbal jabs thrown in the mix. Michael Bisping has previously hinted at retiring after a few title defences and this could be the one. It may not only be his heyday though, it may be the passing of the torch. 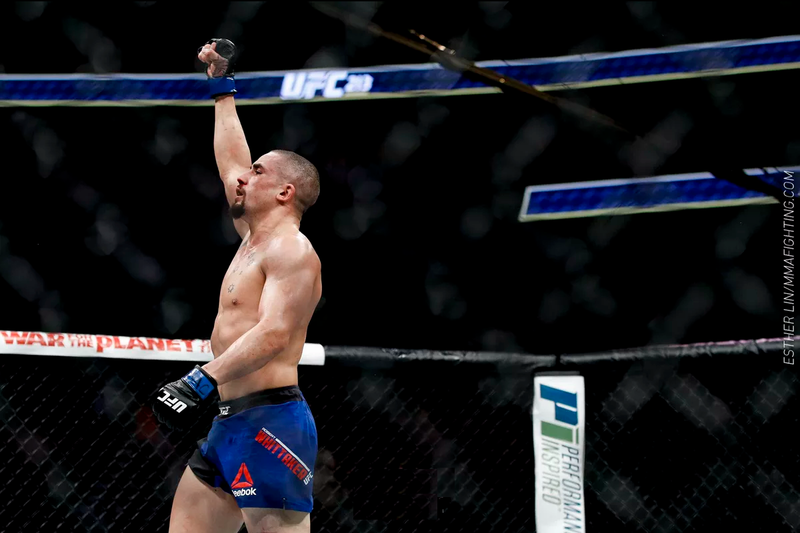 Robert Whittaker is here to stay and is coming for the middleweight crown. He used to be one of the numbers, now he is the number. Number 1.